The Railway Children’s ‘The Old Gentleman’. Frame grab courtesy Studio Canal. Railway photographers lead dangerous lives. All too often they are arrested, their cameras taken away from them and their photos deleted. We asked Dyspozytor how he deals with jobsworth officials interfering with his railway photography in Poland. We have no hesitation in recommending either his regretful approach, ‘I’m awfully sorry. I’m from England. I didn’t know your railway was a strategic installation of military importance.’ or his more apologetic, ‘Thank you for pointing out that I was trespassing. I am very sorry. Now let that be the end of the matter’. However, the last technique he describes here seems to us to be downright dangerous and should not be attempted by anyone who does not at least possess a black belt in the martial arts. Rule 1. Remain calm and collected at all times. 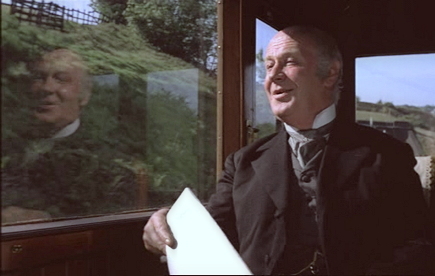 Let the ‘Old Gentleman’, so brilliantly portrayed by William Mervyn in the 1970 film adaptation of The Railway Children, be your role model. My first brush against Polish officialdom occurred in 1965, or was it perhaps a year or two earlier? I was a schoolboy and had gone to Stepnica, a tiny port on the Szczecin Lagoon served by a couple of sidings on a branch of the then massive metre gauge railway network centred on Gryfice. I took a couple of shots of an engine at the head of a train at the station. There are few signs that the port and town of Stepnica were once served by a railway. Satellite photo courtesy of Google Maps. The station master caught me and delivered a lecture that the railway was a strategic instillation of military significance and that he should call the police. I countered that in the UK we did not regard narrow gauge railways as having any significance at all other than as tourist attractions and apologised profusely. I was allowed to keep my camera and my film. I used a similar tactic and obtained the same outcome when challenged after photographing a tram depot near Warszawa Wschodnia station in the 1970s. Sanok station July 2010. Dyspozytor had strayed off the platform on the left. Photo (GRAD). Licence CC BY-SA 3.0. But that was then – when Poland was in thrall to the Soviet empire, and paranoia reigned on both sides of the Iron Curtain. Today Polish law has changed. You are allowed to take photographs of trains and railways, but not trespass on railway property. Rule 2. Be firm and stick to your guns. A few years ago, I was wandering around taking photographs of Sanok station, which was – and still is – served by only a handful of trains a day. I stepped off the platform to get the whole of the station in the frame, shot a set of photographs and found myself facing a member of the Straź Ochrony Kolei (Railway Police). He told me that I was breaking the law, that he would call the police and would face all sorts of unspecified punishments. I told him that there was no law against taking photographs of the railway. He told me that I was trespassing on railway land and that he would call the police and that I would face… . I thanked him for pointing this out and for having told me off, and told him that I accepted his rebuke and told him that that should be the end of the matter. 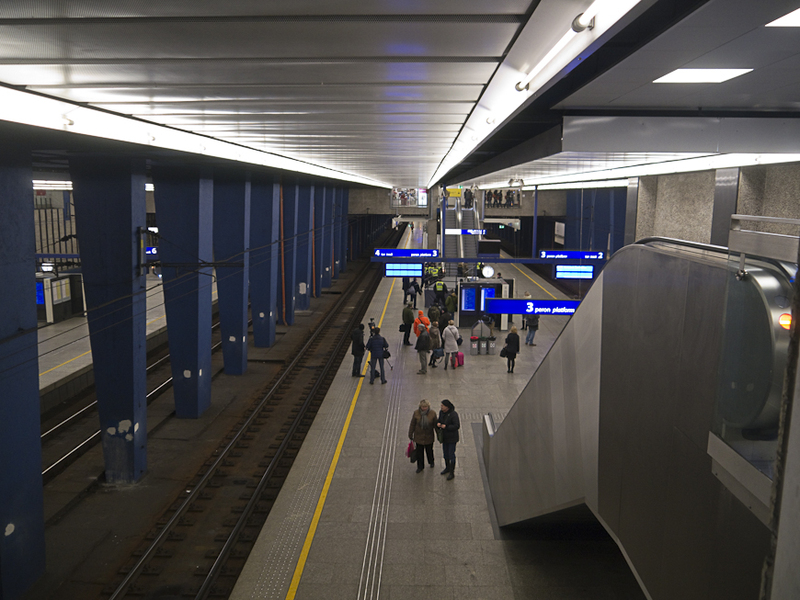 Warszawa 06:25 on December 14 2014 . Shortly after taking this photo in available light (no flash) Dyspoztytor was challenged by a uniformed member of the SOK (Railway Police). Photo BTWT. Rule No. 3. The best form of defence is attack! On the morning of December 14 2014, shortly before travelling on the first ever public Pendolino service from Warsaw to Krakow, I was accosted by a member of the SOK and asked whether I had a permit to take photographs. All around me TV crews were setting up, people were snapping away as if there was no tomorrow, yet this SOKista had the nerve to pick on an old gentleman barely supporting himself on a walking stick – me! Henry the Pious before his defeat and beheading at the Battle of Legnica in 1241. 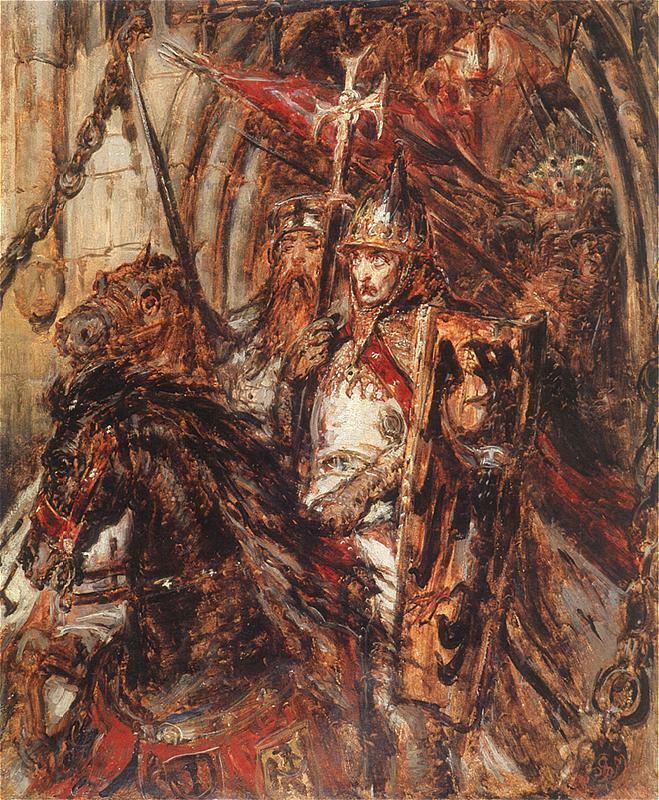 From a painting by Jan Matejko. I saw red. My blood pressure rose past all safe limits. I was trying to change the course of history and fighting the Battle of Legnica all over again, defending civilisation against the hordes from the East. What! I spluttered. Today, everybody in Poland should be rejoicing that at last Polish Railways have taken a cautious step forward into the future, and YOU are behaving as if we were still living under communism! I had reached the most dangerous moment, the man’s temper was rising. The list of remedies available to members of SOK reads like something out of Fifty Shades of Grey: physical force, weighted baton, handcuffs, tear gas grenade, police dog, Walther P99 and Taser. It was time to go in for the kill, Tell me Sir, when did you last go to confession? Defeated by an old gentleman with a walking stick, the SOKista beat a hasty retreat. Tp3-3, former Prussian Railways G8 class, built Hanomag 2013, active PKP service 1945-1970, displayed as a ‘technical monument’ at Zbąszynek from 1988. Note pile of coal in foreground and shadow cast by the sun. Photo BTWT. My last run in with the SOK occurred just 5 days ago on 17 March at Zbąszynek. I was with a friend, we were returning from Wolsztyn, where we had been guests at a lunch given by the Mayor of Wolsztyn in honour of the British Ambassador on the occasion of his visit to the Steam Locomotive Depot. We were both smartly dressed and talking – quite loudly I suspect – in English. It was 15:15, the sun was shining brightly from the South West and we both walked off the end of the platform to get a good view of the Ex Prussian Railway G8 0-8-0 plinthed just off the neighbouring platform. After I had taken my photographs, we were approached by a couple of SOKisci. It appeared one of them objected that we were wandering too close to a pile of coal. The last part of our conversation went something like this. Me Zbąszynek should be celebrating its railway heritage not harassing tourists! SOKista Why are you raising your voice? Me Because I object to being told off for taking a photograph of a unique Prussian Railways locomotive. SOKista You can take your photo from the other platform. I am just telling you that you should not be wandering around in the vicinity of the heap of coal. Me So you you think that I am planning to take the coal away in my jacket pocket? I cannot take a photograph against the sun. I object most strongly to you lecturing me. SOKisci are human too! Taking photos of the first ever public Pendolino working to Krakow in 14 December 2014. Photo BTWT. Me That as maybe. But I am lecturing YOU. Please tell your boss that, if Zabąszynek is to be a proper custodian of a unique locomotive of world-class importance, photographers should be welcomed not harassed. And that was the end of the matter. When it became clear that our EIC train from Berlin to Warsaw was lost somewhere in Germany, and that it would be prudent to take the next KW stopping train to Poznan, the SOKisci, seeing my walking stick, guided us politely over the barrow crossing to the platform where the stopping train was waiting. Perhaps things are getting better on PKP after all? The GWR in 4mm to 1 ft scale EM gauge. Photo Pete Waterman. Although Behind The Water Tower concentrates on 12 inches to 1 foot modelling, we do occasionally make an exception when we come across world class model railways like Pendon and Rowland’s Castle. We were going to run a story on the National Audit Office’s report on the Metronet fiasco (scandal? ), but after seeing Pete Waterman’s photographs of Robert Cook’s amazing model railway, we decided that our readers would prefer to look at these instead. So click on the links and then click again on the thumbnail photos and marvel on what Robert has built single-handly over 30 years! Three cheers for Prince Charles! HRH, The Prince of Wales, Zac Goldsmith and others at the launch of the Revolve Eco Rally at Hampton Court in June 2007. Three cheers for the way The Prince of Wales responded to the D-Day crisis, and with scant regard for protocol, obtained an invitation from President Sarkozy to honour the British soldiers who gave their lives on the Normandy beaches. We have no private source of information whether the absence of an invitation to the Queen was the result of President Sarkozy’s determination to keep the commemoration an American-French affair or whether the cause was Gordon Brown’s wish not to be up-staged. In the event, Prince Charles’s performance was regal and dignified, in stark contrast to the political posturing going on elsewhere. Prince Charles suffers from a hostile press which mocks his beliefs and regularly ignores the valuable work that he carries out through his charities such as The Prince’s Trust and PRIME. While some of this may mirror the drop in the Prince’s popularity following his disastrous marriage to Diana Spencer, and the manner of the Princess’s death, in fact the hostile press articles started well before his marriage got into difficulties. It difficult to escape the conclusion that the Prince’s espousal of causes such as organic farming, holistic medicine and traditional architecture has upset major vested interests who have manipulated the media in an attempt to clip the Prince’s wings and limit his influence. TRH The Prince of Wales and The Duchess of Cornwall, with A1 Trust chairman, Mark Allat, looking on, name brand new Peppercorn A1 class pacific, Tornado, 19 February 2009. For lovers of Britain’s railway and industrial heritage, the Prince plays a vital role as a national figurehead. He fills the space vacated by the death of stalwarts such as Sir John Betjeman and Fred Dibnah. 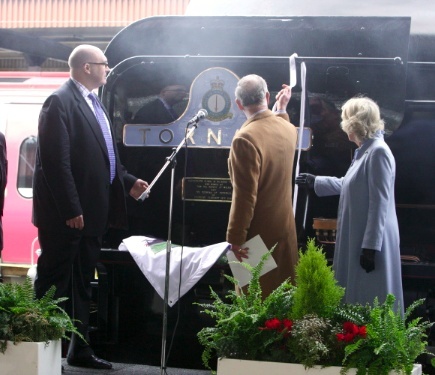 These days, there’s scarcely an important heritage railway event which the Prince does not personally support, whether it is the reopening of the Severn Valley Railway after major flood damage, or the naming of the A1 Trust’s Peppercorn pacific Tornado. The Prince helps to provide public recognition of the amazing achievements of British railway enthusiasts. This recognition helps them with their negotiations with all the official bodies who have to be brought on side before a railway project can be nursed to its ultimate success. We have it on very good authority that when Howard Jones was collecting his MBE, the Prince congratulated Howard on all the good work he was doing to preserve the Polish narrow gauge railways. Howard was understandably somewhat miffed because his amazing achievement was in persuading PKP to leave at Wolsztyn as the last steam shed in the world servicing standard gauge locos rostered for regular mainline passenger traffic. Perhaps, the Prince – a keen supporter of the Welsh narrow gauge – had in mind the extent to which Howard’s Wolsztyn Experience helps to cast an international spotlight on Poland’s minor railways as well? In Poland the future of the country’s railway heritage hangs on a thin thread – the victim of a shock transition from communism to Latin-American style capitalism, Poland’s burgeoning bureaucracy, the lack of official recognition and absence of public support. Perhaps it may be unrealistic to hope that on his next visit to Poland the Prince might find time to visit Wolsztyn and travel on the footplate (or even drive!) 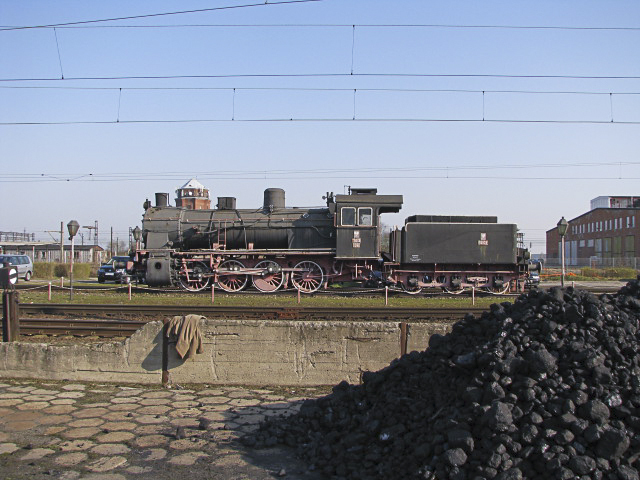 one of the Ol49s on the Wolsztyn – Poznan turn and maybe even drop in to see the Smigiel Railway next door. Wishful thinking or not, in a country which lacks a powerful national advocate for its railway and industrial heritage, such recognition would give the Polish railway preservation movement the shot in the arm it desperately needs. 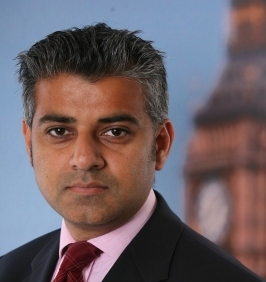 In the latest move in Gordon Brown’s reshuffle, Sadiq Khan has been appointed Minister of State for Transport, filling the vacancy caused by the promotion of Lord Adonis to the post of Secretary of State for Transport. Because Adonis is a member of the House of Lords, he cannot speak in the House of Commons, so Khan will speak on behalf of the Government in the Commons. He will also be a privy councillor and will attend Cabinet meetings. Lord Adonis, until a couple of hours ago Minister of State at the Department for Transport, has been promoted to Secretary of State for Transport replacing the Rt. Hon. Geoff Hoon who has resigned from the Cabinet. Lord Adonis will be the first Secretary of State for Transport who believes passionately in the future role of the railways since the railways were nationalised in 1949. Sadly, with the Labour Party in turmoil and the Government extremely unlikely to survive the next election, he may not be in the post for long enough to make any impact upon the Department for Transport’s anti-rail policy. In a move that will send shivers down the spine of those who remember how – despite the outward trappings of democracy – in communist times Poland was really ruled by a succession of ‘first secretaries’ of the Communist Party, Gordon Brown has just announced that Lord Mandelson is now ‘First Secretary’. I’m not very good at the ‘stream of consciousness’ style of blogging. What is it that bids me to seek out spirit of place (platzgeist in German, mirroring the word zeitgeist or ‘spirit of time’)? And why am I so happy having found a specific spirit of place here in Jeziorki? Being in a place brings on spiritual contentment? Can one have a metaphysical attachment to place? I leave this sort of thing to Michael Dembinski from whose latest post on the Wwa-Jeziorki blog the above quotation is taken. Mike does this very well and in fact Wwa Jeziorki – although completely different in style – provided the inspiration to start Behind The Water Tower. There are places that have a peculiar magic about them; these can be urban, suburban or rural, mountains, coast or plains, but they differ from places that lack any atmosphere or klimat. Greenford or Hayes in Middlesex – ghastly places. Vast swathes of outer London – identical high streets, traffic, crowds, lacking in character. But what’s this? Greenford or Hayes… I’m prepared to take Mike’s word for Hayes, but Greenford, I strongly protest. The whole area was a magic portal that lead to a strange foreign land. The southern edge of Horsenden Hill was skirted by the Grand Union Canal. As I grew bigger the walks grew longer and continued along the canal. The towpath lead to Greenford! Here was the largest factory for miles around, Rockware Glass, which at its height employed 900 people and had its own railway network. 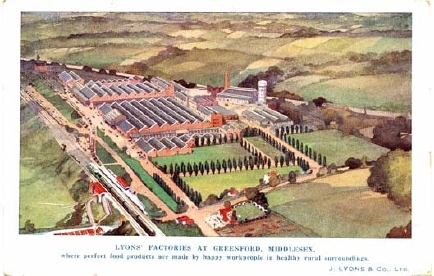 A couple of years later and we were walking as far as the J Lyons tea factory – which had its own canal basin and railway network, and was the first factory to apply computing to managing a business. 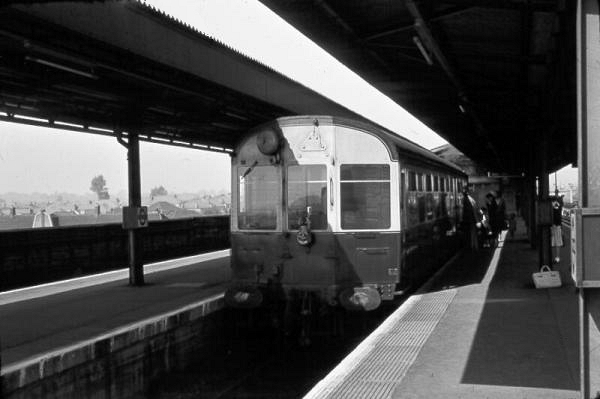 A short bus hop from where we lived was Greenford Station. Here I saw my first ‘push-pull’ train consisting of an ex GWR 14xx and autocoach. Occasionally dark green ‘Kings’ or ‘Castles’ flew past on the main line with expresses to Birmingham and beyond. Sadly J Lyons and the Rockware glass factory are no more, but Greenford remains the last place in London where you can see GWR style lower quadrant signals still in operation. Greenford lacking in character? Never! Postcard from the http://www.kzwp.com website. My grateful thanks to Dewi Williams for helping to bring the good times back with his brilliant railway photographs. You can see more of his pictures from the early 1950s here. Will your vote make a difference? Train v plane: fair fight? UK train fares are the most expensive in Europe and the Government wants to make passengers pay even more. We’re asking the Government to tax the fuel used for domestic flights – which would make up for any money lost by reduced train fares. Campaign for Better Transport are running a very nifty viral marketing campaign to highlight that competition between planes and trains does not take place on a level playing field. (Hat tip to the Fact Compiler.) Do click on the link and send details of the CfBT campaign to a couple of your friends. In the UK it is not just planes that enjoy an unfair advantage, competition between road and rail is also heavily skewed against rail. The infrastructure owner, Network Rail is saddled with servicing a burgeoning debt – currently at £22 billion – the cost of which appears in NR accounts – and has to be paid for by the passenger. The financing of the national road network is handled much more favourably. When was the last time that you heard about the Highways Agency debt? Which brings me to the European elections. (If you don’t live in the UK you may want to skip the rest of today’s post.) Which party to vote for? Labour – a party that promised to do something about the pig’s breakfast that the Conservatives made of the railways and then lost its nerve? The Conservatives? They have never been friends of rail transport and made the mess in the first place. Nowadays they talk about HS2 and no third runway at Heathrow – but how much of their new green agenda is just ‘green wash’ which will vanish into thin air when they form the next government. Liberal Democrats? They do have a consistent pro public transport stance. Voting Liberal Democrat would be a cautious pro-rail voter’s choice. However, if you feel really fed up with the cosy gentlemen’s club that UK party politics has become, why not give all the mainstream parties a kick up the backside and vote Green? Caroline Lucas, the leader of the party, has consistently campaigned against all the tax breaks enjoyed by the airlines, which brings me neatly back to to the beginning of this post. UK Greens have campaigned hard for years for better public transport and a better deal for passengers. As MEPs, unlike their Westminster counterparts, are elected by proportional representation, all votes count. No votes for a Green Party candidate are wasted. Go on, vote Green and signal to the British political establishment that enough is enough. PS. A terrifying picture of what rule by commissar is doing to Britain. Could you help govern Network Rail? Replacement of Leven Viaduct decking nearing completion. The £14 million project involved closing the twin viaduct for 16 weeks between March and July in 2006. While the closure may have been part of a prize-winning engineering solution, was the 4 month disruption to passengers given the appropriate weighting in Network Rail’s decision processes? Photo Network Rail. Network Rail has started the search for up to 25 new public members. The task of members is to hold the Board to account for their management of the business and monitor their standards of corporate governance. The deadline for submitting applications is Friday 12 June. Given the scholarly debate that takes regularly takes place in our columns about railway investment and transport policy there are probably quite a few BTWT contributors who could add real value to Network Rail’s membership’s base. We live in interesting times. Last year, after Network Rail engineering projects ran late and caused massive disruption to passengers, members forced through a resolution urging a review of Network Rail’s corporate governance. PricewaterhouseCoopers report concluded that as the Network Rail board appointed the ‘independent appointment panel’ that appointed Network Rail members the result was that ultimately the Network Rail board was only responsible to itself!